Saturday night in Los Angeles, California, former baseball superstar Jose Canseco will step in the Celebrity Boxing ring to take on former New York Met and Philadelphia Philly Lenny Dykstra. The fight, taking place at the Avalon Hollywood club, will be Dykstra’s first. Dykstra has just left prison after serving a sentence for grand theft auto. Canseco is 47 and Dykstra is 48. 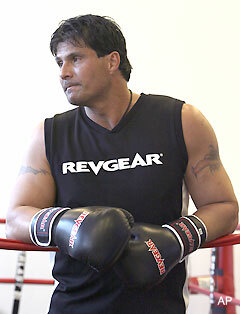 Canseco does have more boxing experience, but his record is one loss and one draw.